It’s our birthday week! 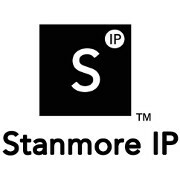 2 whole years of Stanmore IP. How exciting. I’m a bit of a fan of cake. Who isn’t. And a birthday is a very good reason to have some cake I think. So with that in mind, I’m offering one lucky winner a “Cake For One” one month subscription from the brilliant The Cake Tasting Club. To enter the competition, simply follow the various steps below, there are 4 ways to enter. The competition ends at midnight on Saturday 21st January. I’ll pick one winner at random and they’ll get a nice box of cake though the post. Delicious. If you’d like to share the competition with your friends, please do. There are social media sharing buttons below. This entry was posted in In the news and tagged Competition, Trade mark on 18th January 2017 by forestboy5.